2016 Best Photos on Instagram - A Year Late Review of my Best Nine! As we approach the end of the year, best nine collages have started popping up on Instagram. I love these compact year-in-reviews, so I had to go look at mine! However, there’s also an option to check out your 2016 best nine, so I thought we’d take a look at that first! It’s always interesting to me what resonates with people online. I think sometimes I like some photos because after being in that place I associate memories with the photos that others wouldn’t, giving those photos more significance to me. I’ll post each photo with a brief description below, so you can get an idea of where I was and what was going on in each. I was really surprised what my top photo was! Of course it is associated with some great memories – we were learning how to fly fish on the Gallatin River in Montana. Wasn’t isn’t there to like in this photo? When I look at this photo I always notice how stick straight these trees are. I took this photo from the side of the road on the Bow Valley Parkway in Banff National Park. 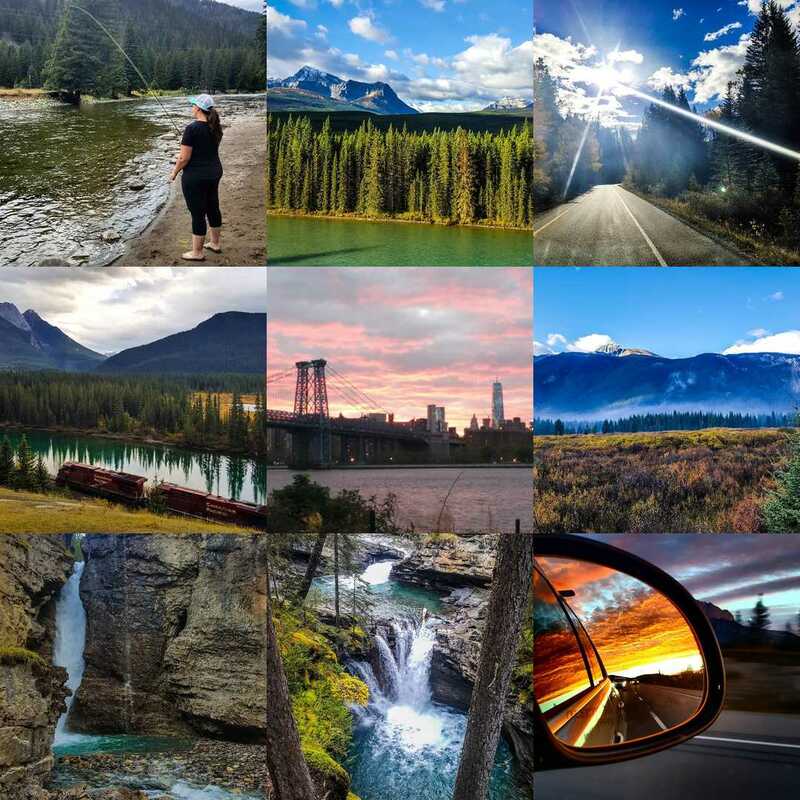 This photo also starts a trend on my best nine – 7/9 were taken in Canada! Another shot from along the Bow River Parkway. I took this (as a passenger, of course) while driving out of the park on the last day of our visit. It was an incredibly beautiful day! This is one of my all-time favorite photos. This was another roadside stop on the Bow River Parkway in Banff. I was taking macro pictures of some plants when I heard the train coming. I could NOT BELIEVE our incredible luck; we had only been there a few minutes. I wasn’t sure if any of my pictures would turn out – I was so excited I was shaking! I love so much about this – the lines, the colors, the contrast of nature and industry. I’m so happy I was able to capture such an exciting moment. Confession: I didn’t take this photo in 2016, but that’s when I posted it. I took this picture on the East River before we left NYC in 2015 while riding my bike home from a fitness class in Williamsburg, Brooklyn. One of the best sunsets I ever saw in New York. The next two photos are from hiking Johnston Canyon in, you guessed it, Banff. Beautiful hike and lots of waterfalls. And finally, another of my favorite photos, and a great example of why I love sunrise so much. I took this photo as we left Calgary for Vancouver. That drive was by far the most scenic and beautiful of our whole trip, including this spectacular sunrise! And that’s it! My nine most popular photos on Instagram in 2016. I’ll be posting my most popular photos of 2017 soon. Subscribe to be notified when those photos are posted (hint: you’re definitely going to want to see this if you love Yosemite)!